"Forced Removal" 2003/4 Size variable. 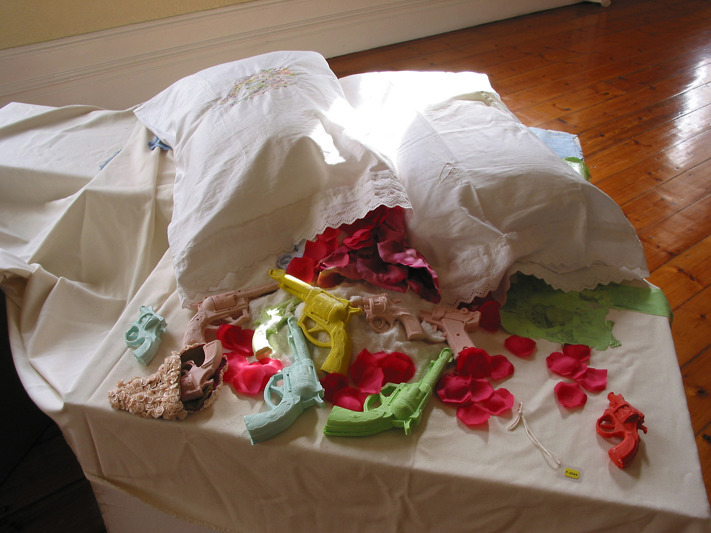 Pillow, embroidered pillowcase, bedding, silicone guns, silk rose pettals, ribbons, holster made of silk roses. 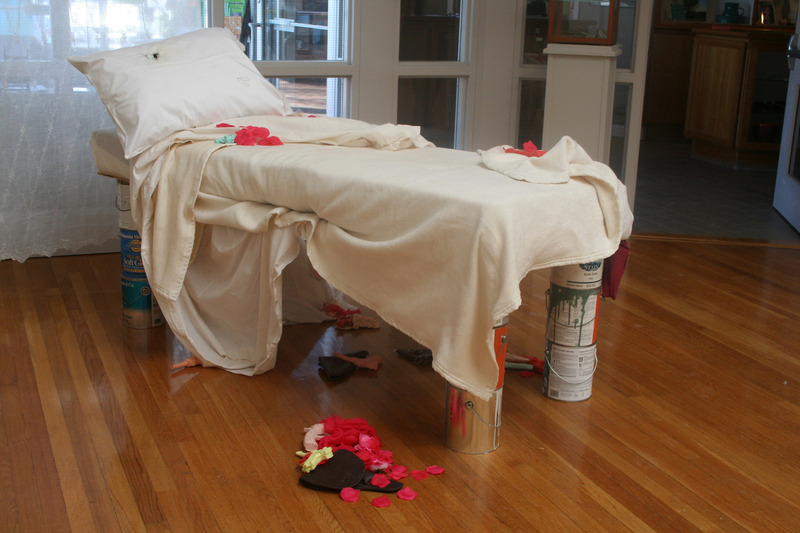 "Forced Removal" 2003/4 (detail) Size variable. 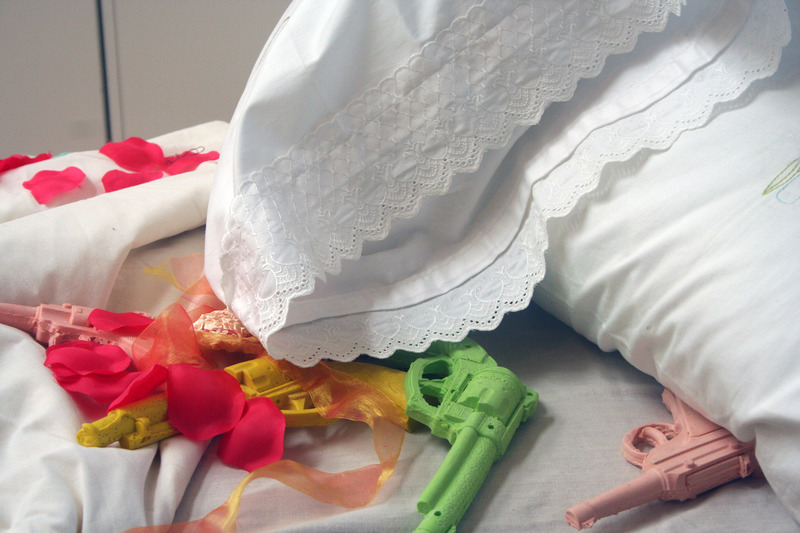 Pillow, embroidered pillowcase, bedding, silicone guns, salt, silk rose pettals, ribbons, holster made of silk roses. 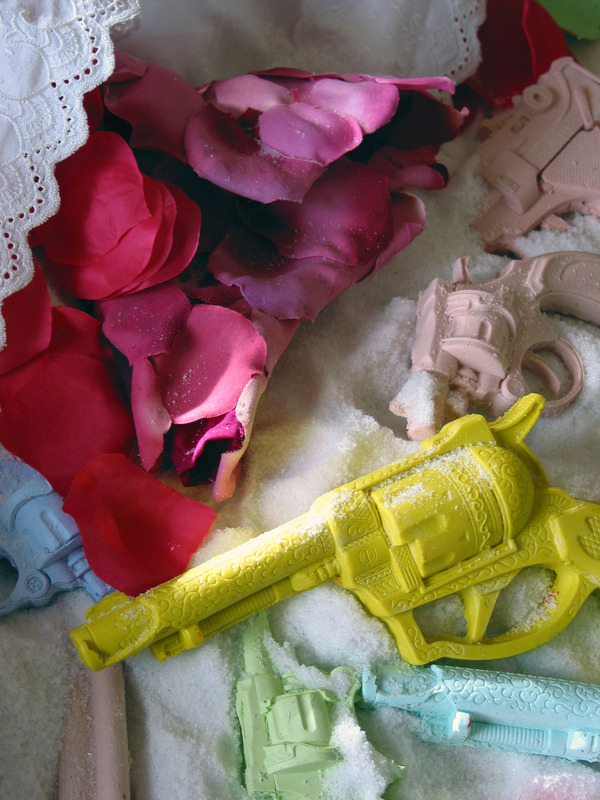 "Forced Removal" 2006 (detail) Size variable. 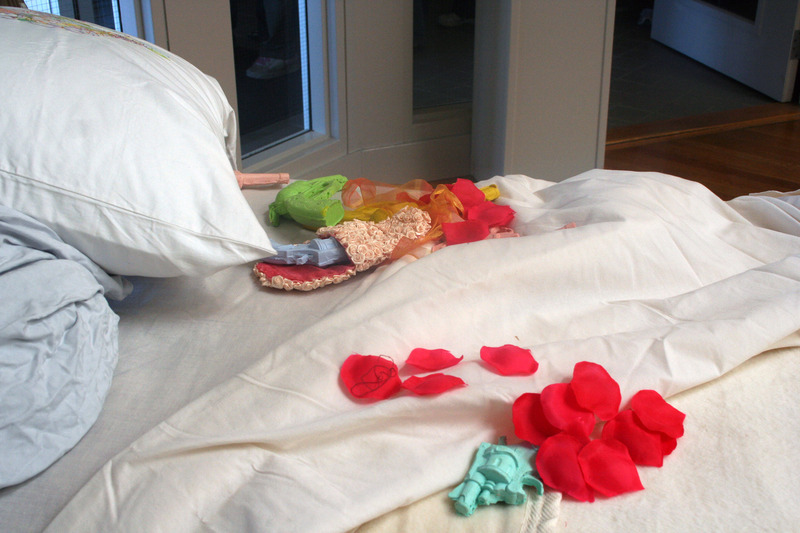 Pillow, embroidered pillowcase, bedding, silicone guns, salt, silk rose pettals, ribbons, holster made of silk roses, empty paint tins, matress.